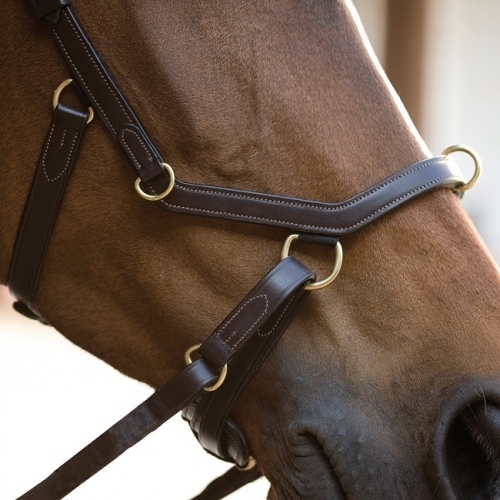 A Rambo Micklem Multi Bitless Bridle in either Black or Brown Leather. A High Quality Bridle that can be used as a Bitless Bridle with 3 Bitless Strength Settings, A Lunge Cavesson or a Bitted Bridle. 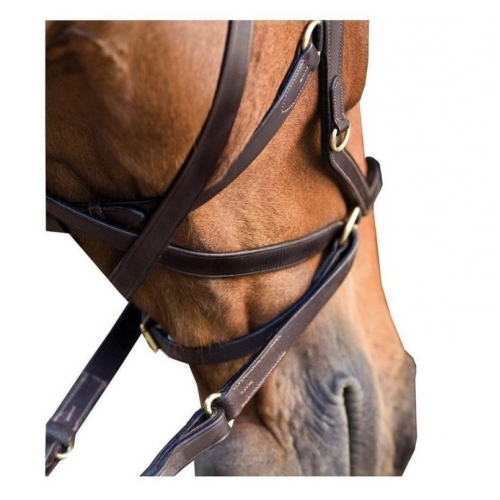 More Comfortable, More Humane - The Rambo Micklem Multi Bridle is unique as it is designed to comfortably fit the shape of the horse’s skull, avoiding pressure on sensitive areas. 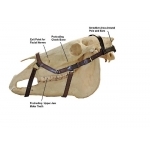 It can be used as a bridle, lunge Cavesson or as a bitless bridle with 3 bitless strength options. 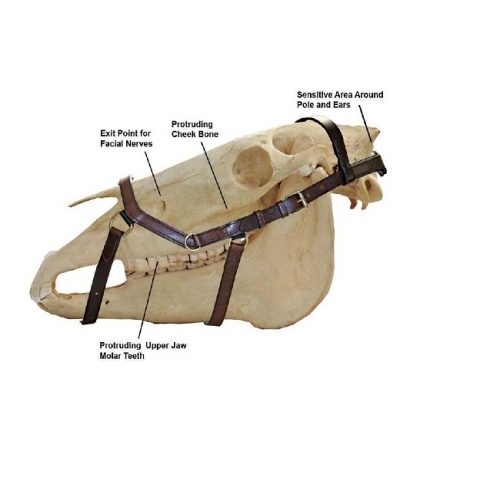 It is available with tongue protection clips, bit straps, curb groove strap and a strong bitless stopping strap if needed. 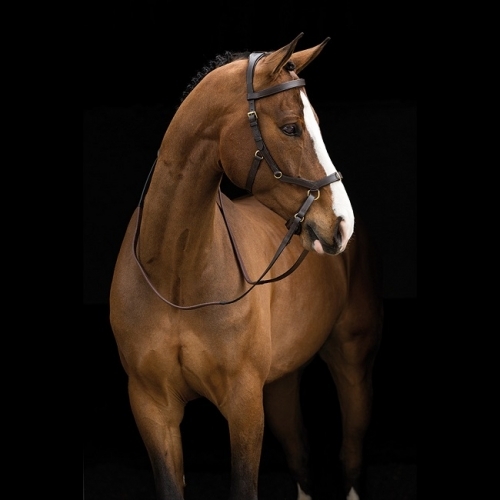 Please note it is only the Rambo Micklem Bridle Included. 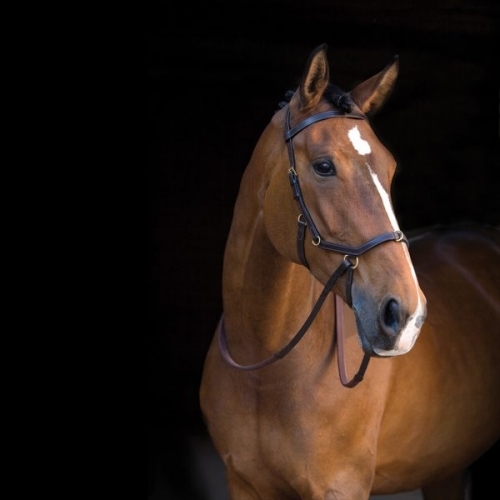 To purchase the matching Rambo Micklem Reins please click here. The Rambo Micklem Multi Bitless Bridle has 3 x bitless strength settings as follow: Please see the additional images tab above for closer images of the 3 x bitless strength settings.